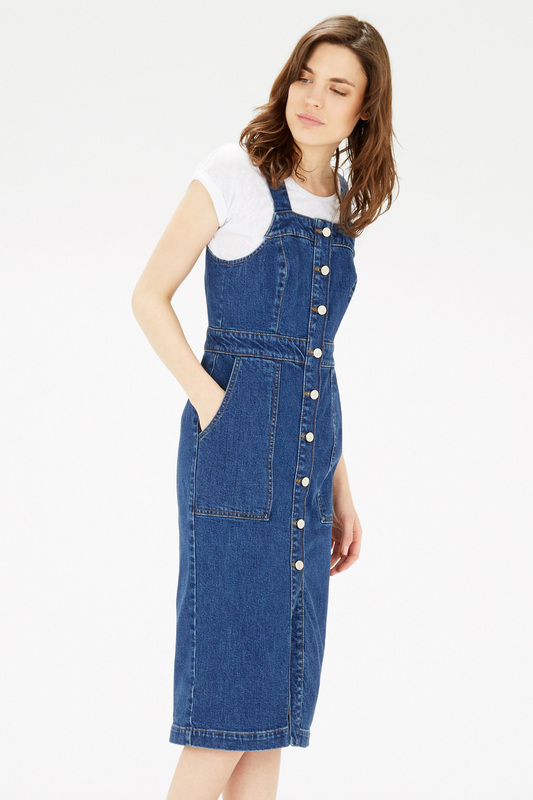 I do like a good denim piece and this pinafore dress is a summer version of my dungarees which I have worn out since I purchased it just over a year ago, so I'm hoping to wear this just as much during the summer. It's been nearly two months since I purchased this dress, but with cold winds and minus temperatures bearing leg was not an option and I wasn't feeling tights with it. After waiting patiently I was excited when the sun finally came out on Friday and although I was indoors mostly this was the day to wear my pinafore dress! I decided to pair it with my leather biker jacket and trainers also belt it around the waist for some shape. I love the midi length of this dress plus it's not too tight giving me room to move around. 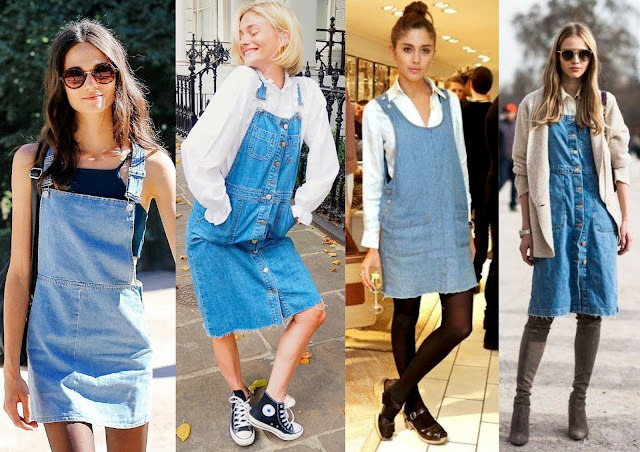 There're loads on the high street this season and if you don't fancy denim try the style in a different fabric. 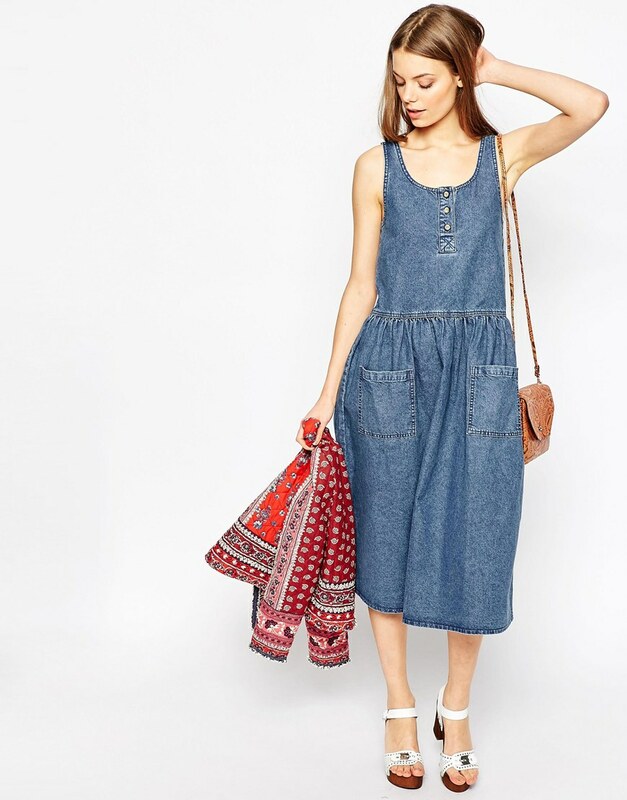 It's easy to wear like dungarees, just pair with a simple t-shirt for a laid back look. I'm wearing mine with trainers but will look equally good with some sandals and cropped top if you're feeling brave. 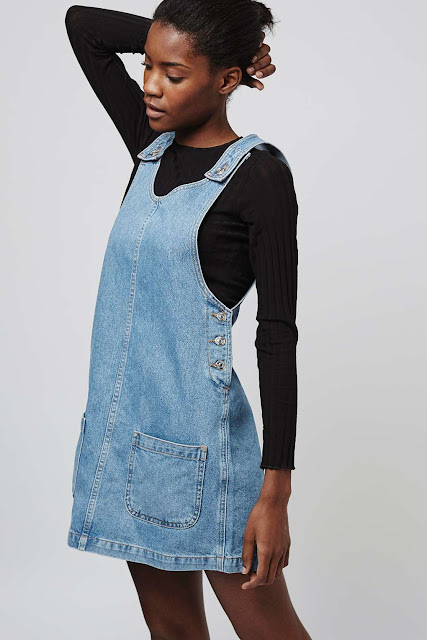 I'm loving the above pinafore from Topshop, definitely wearable for all seasons and will look great with tights and boots as will the one below. 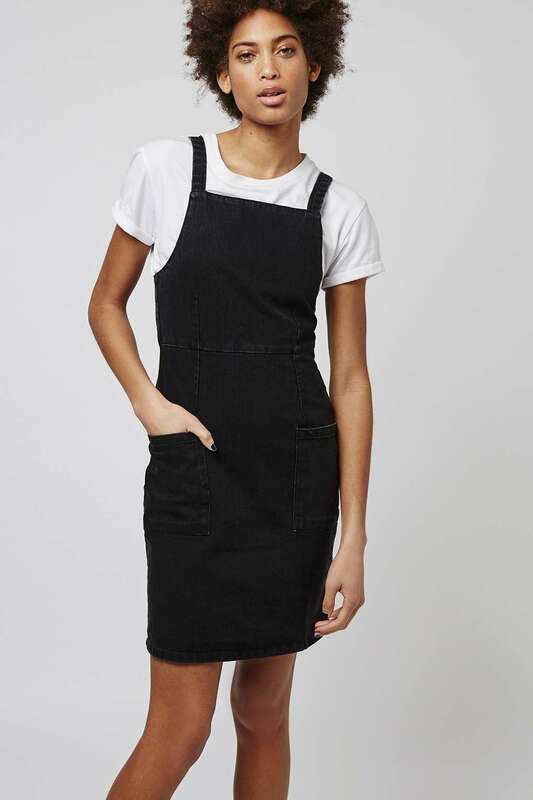 Warehouse have one in black (here), it's a smarter version and in fabric but can be carried off casual if paired with trainers. If you fancy something different have a look on ASOS they have endless options for everyone. This one is different from the usual pinafore style, very 'little house on the prairie'. I saved my favourite two pinafore styles until last, add a sporty cropped top for this season's 90's trend and team it up with a biker jacket and you're ready to go.